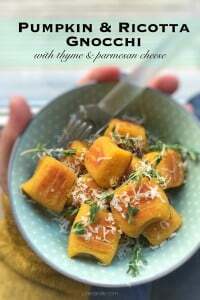 Pumpkin Gnocchi with Ricotta | Simple. Tasty. Good. Pumpkin gnocchi are so much fun to make! I was overwhelmed by the result. I must say that earlier attempts were OK but still I found the gnocchi a little too chewy and tacky for my taste. Or my dough would just not come together at all. 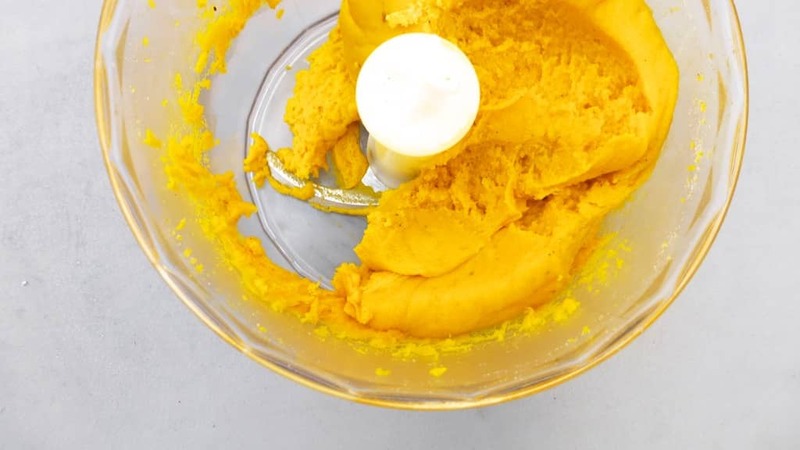 Secret: bake the fresh pumpkin in olive oil but avoid water! 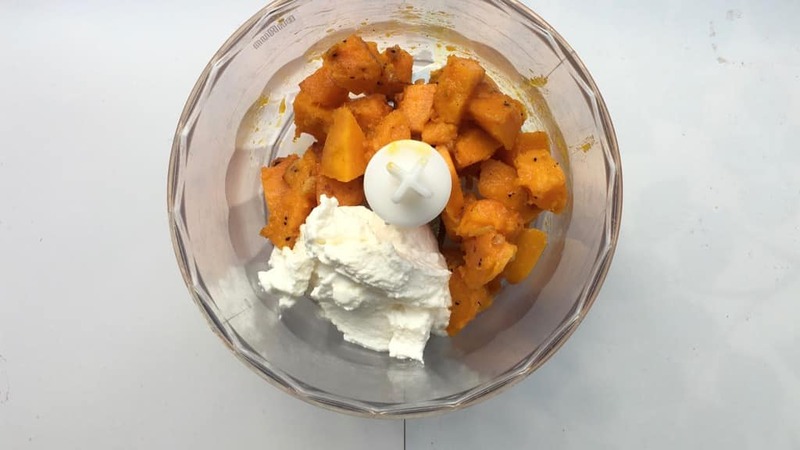 Don’t boil or steam the pumpkin because it will absorb water. That makes your dough so runny which will make you add way too much flour and in the end the gnocchi will be too heavy and chewy. 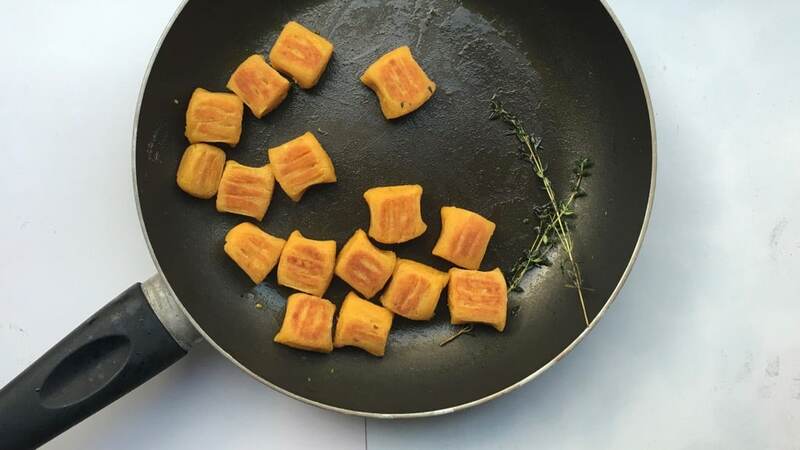 Another thing I did differently here: I pan-seared the gnocchi in olive oil instead of boiling them in hot water. That way the gnocchi crisp up nicely. Add some fresh thyme for extra flavor… Excellent! 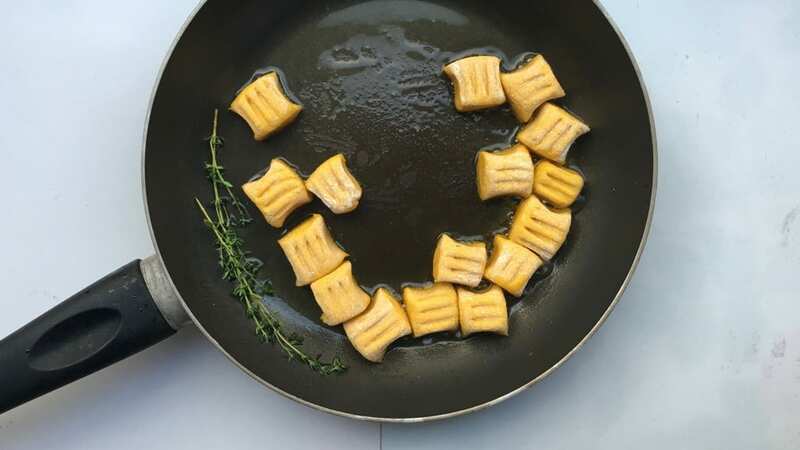 Love gnocchi? Then also check out my classic gnocchi recipe! Add a tablespoon of butter to a large pan and place it over medium heat. Add the diced pumpkin, garlic and shallot. 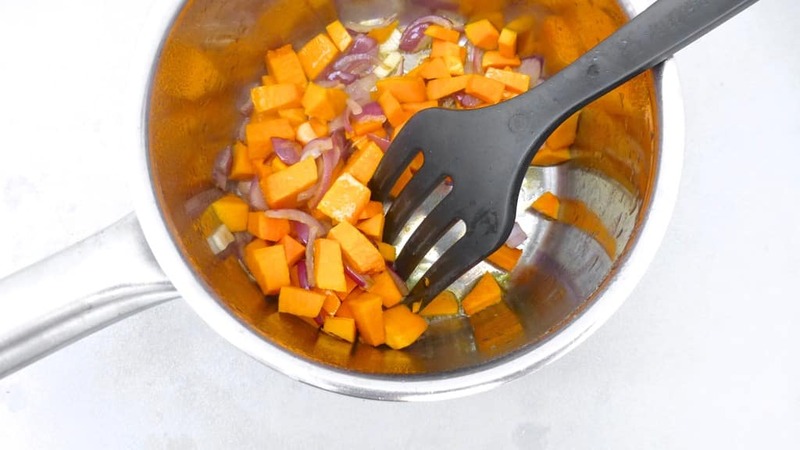 Stir fry the pumpkin for 5 minutes or until it starts to soften. Take the pan off the heat and let the pumpkin cool. Then add it together with the ricotta to a blender. 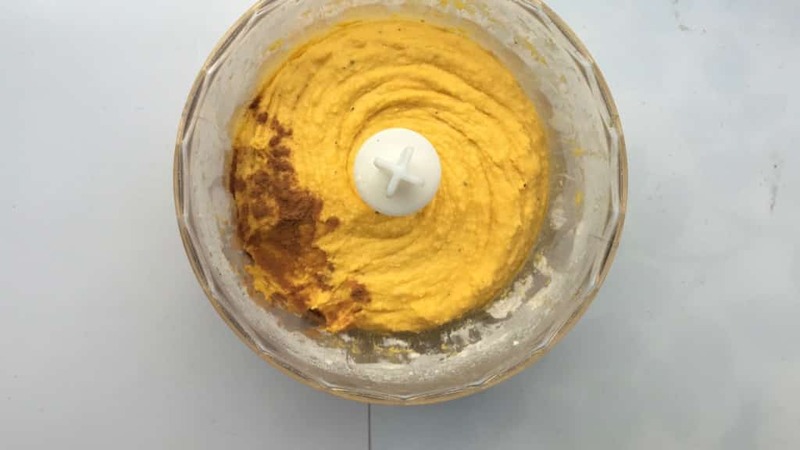 Pulse into a smooth puree. Then season with pepper and salt. 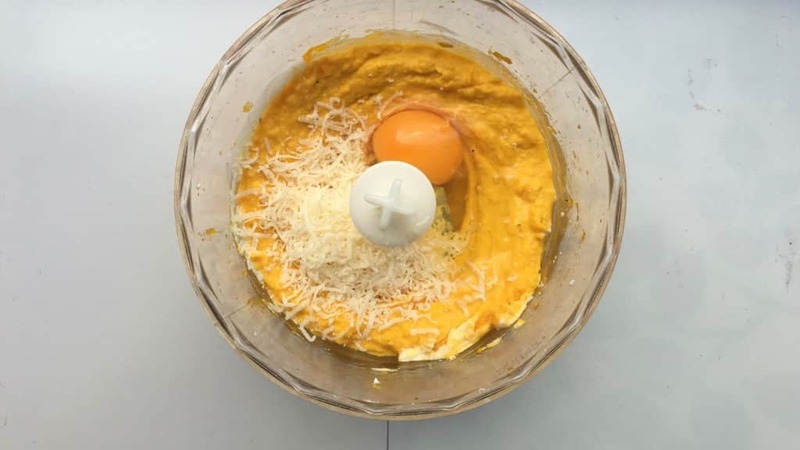 Add the egg and grated parmesan. Pulse again. Add the plain flour and corn grits. Pulse until you get a smooth but not sticky dough. Add a pinch of cinnamon. Blend the dough one last time. If it's too sticky, add extra flour. 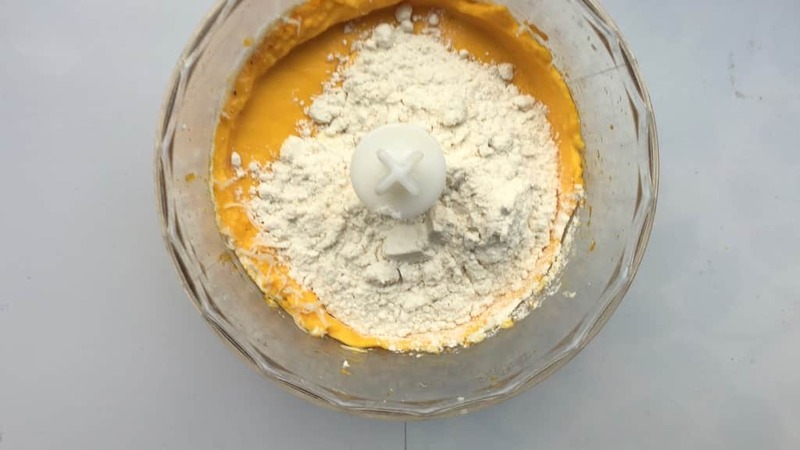 Transfer the pumpkin dough to a floured surface and knead it for a minute. Wrap it in a piece of cling film and let it rest for 30 minutes at room temperature. Unwrap the dough and quickly knead it again. Roll it into sausages and cut it into even portions. 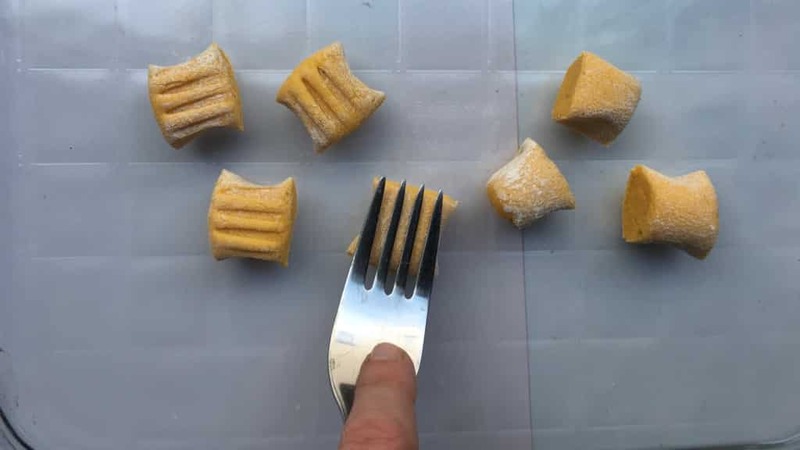 Press them lightly with a fork to make the classic pattern. Add 3 tablespoons of olive oil to a non-stick pan and place it over medium heat. Add the gnocchi and thyme. Bake the gnocchi on all sides until lightly brown. Season with pepper and salt. Transfer the gnocchi to a serving plate. Sprinkle with extra grated parmesan and fresh thyme. Serve hot.